Sunset Golf is Pittsburgh's South Hills' premier golf destination. If you're looking for 27 holes of challenging miniature golf, a driving range to practice your golf swing or golf lessons from a professional, Sunset Golf has your needs covered. Our goal is to provide our customers with quality golfing entertainment at reasonable prices. Read what our customers have to say about Sunset Golf. 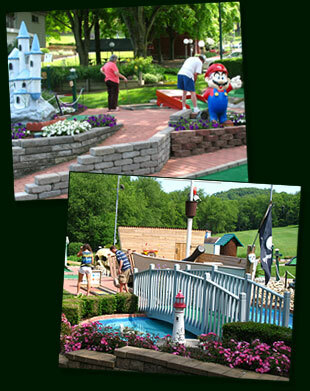 Located in South Park, Sunset Golf is only a short drive from downtown Pittsburgh. Situated outside of one of Pittsburgh's largest parks, Sunset Golf provides a relaxing getaway that can provide hours of fun for friends and family. Visit the location & directions page to start planning your next visit. For more information about Sunset Golf's offerings visit the about page.